Download and use this questionnaire (PDF) to get a picture of your level of trust across different domains. And try this trust audit form to evaluate how happy you are with your level of trust in particular topics. Trust underpins every decision that we make. But when trust goes missing, life becomes hard. Without trust, life can be a very lonely, tiring, and negative experience. So how do we manage trust, and how can we make trust work for us? This book lays out a practical framework for trust, in which all common psychological problems can be seen at least in part as disorders of trust. Using simple examples from everyday life, this book brings clarity to a complex issue, and provides a clear template to help us all build more resilient lives based on trust. buy book or Kindle from Amazon. Each of us builds a collection of simple truths about our world, our relationships and our personal identity. These help us make sense of the business of being alive. But how often do we take the time to reflect and and consider the full depth and breadth of our personal wisdom? In The Power of the Second Question, Chris invites you to lift up from the practicalities of everyday life to consider the bigger picture. You will come to appreciate that life is perhaps more deeply enriching and fulfilling than you had ever realised before. Price: $35 (NZD) including GST, postage and packing. buy book or ebook online from Exisle Publishing. But do we really know what ‘happiness’ is and how it contributes to a fulfilling life? In considering these questions, Chris proposes that: in order to live a truly fulfilling life, we need to strike a considered balance between Pleasure and Achievement. This simple truth, known as the Pleasure/Achievement Principle, lies at the heart of this entertaining, yet thought-provoking book. This book invites the reader to review their lifestyle preferences through a structured series of questions and exercises. Applicable to anyone who feels that they could be getting more out of their life. Contact Chris to buy a copy from him directly, or buy book or ebook online from Exisle Publishing. This Relaxation script is the gold standard for learning to relax. 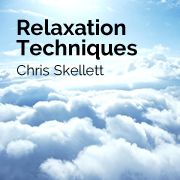 Chris Skellett has over 30 years experience in teaching clients to relax, as a technique for coping with stress, anxiety and a range of psychological problems. Many of Chris’s clients have reported considerable benefit from using this soundtrack over the years. Download the mp3s from CD Baby. From When Happiness is not Enough. Everyone is welcome to download this form for their own use. The form is intended to be used in conjunction with the book When Happiness is not Enough: Balancing Pleasure and Achievement in Your Life. They are not to be used without reference to the source. Like the Pleasure Achievement Questionnaire (above), this form is meant to be used in conjunction with my book When Happiness is not Enough: Balancing Pleasure and Achievement in your Life. They are not to be used without reference to the source.